Eric Sedler and Maggie Moran will lead the combined firm as managing partners. Eric Sedler (l) and Maggie Moran, Kivvit managing partners. CHICAGO: ASGK Public Strategies and M Public Affairs have merged and rebranded as Kivvit. The two firms have been jointly owned since 2010. Year-over-year growth of more than 20% dating back to 2009, new partnerships, geographic expansion, and additional capabilities, made Kivvit’s debut possible, according to a company statement. 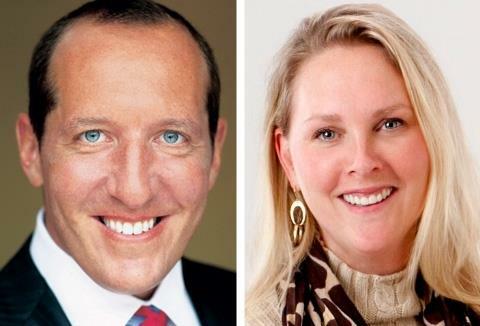 Eric Sedler and Maggie Moran will lead Kivvit as managing partners. Sedler started ASGK with David Axelrod in 2002 in Chicago and supported Moran’s opening of M Public Affairs in 2010 in New York and New Jersey. Combined, the firm also has offices in Washington, DC and Miami. Currently, 60 total staffers are onboard. Merging and rebranding made sense after about five years of working side-by-side, Sedler told PRWeek. "We’ve been really growing at such an aggressive rate and we want to be able to really better provide seamless, geographic coverage and capabilities to our clients," he said. Clients include those in the corporate communications and political space. Its roots in public affairs, Kivvit can use expertise once reserved for the campaign space and apply it to clients’ efforts to produce results time and again. "[Clients] may hire us to help with one particular outcome they’re looking for, but our firm is so immersive and delivers such unique outcomes that these products and the scope are never really serving as a one-off," Moran said. The firm even puts it work ethic on display in its name – Kivvit is Alaskan and means "valuable and durable," she added. Last year, revenue between ASGK and M Public Affairs reached $12.5 million, and Kivvit is on track to exceed $15.5 million in revenue in 2015, per the statement.